Who doesn’t like a good cruise around the Caribbean? It is one of the best ways to discover new beautiful parts of the world, while you enjoy the great experience of navigating on a ship. When you sail and stop in the different places of your travel itinerary, you always have many opportunities to enjoy each stop; you can have a good meal and drinks, you can visit the town and famous monuments and feel like an autochthonous citizen for some hours, or just chill out on the beach or the amazing natural pools. But, if you are an avid diver, you will not resist the temptation of scuba diving in those new waters you´ve never seen before, and you may never see again. 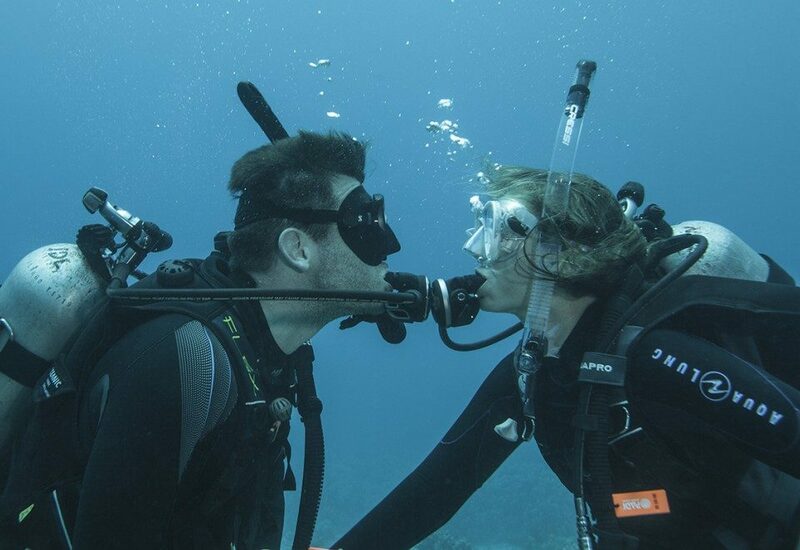 The most common way to do this, is booking your dives with the dive centers of each place. They will be professionals that will take care of everything you need and they will provide you a proper and safe experience. In this article we are going to tell you about the 5 most popular cruise ship stops for scuba diving in the Caribbean. Do you already have your mask and fins on? 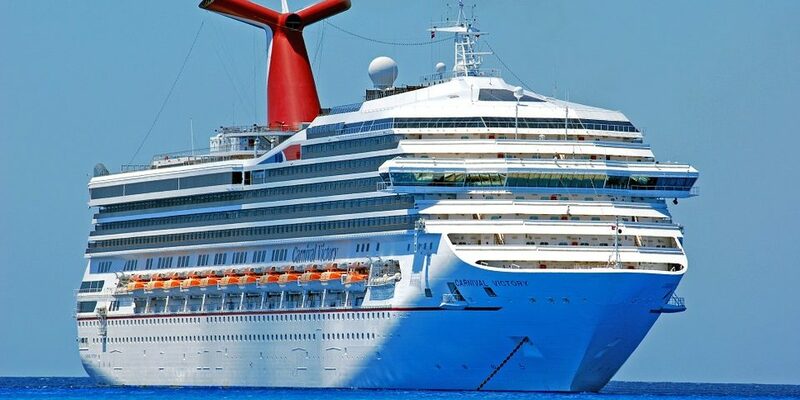 The first of the most popular cruise ship stops for scuba diving in the Caribbean that we recommend is Cozumel. This island is ranked as one of the best diving destinations worldwide, due to its crystal clear water and its beauty and abundant marine life. 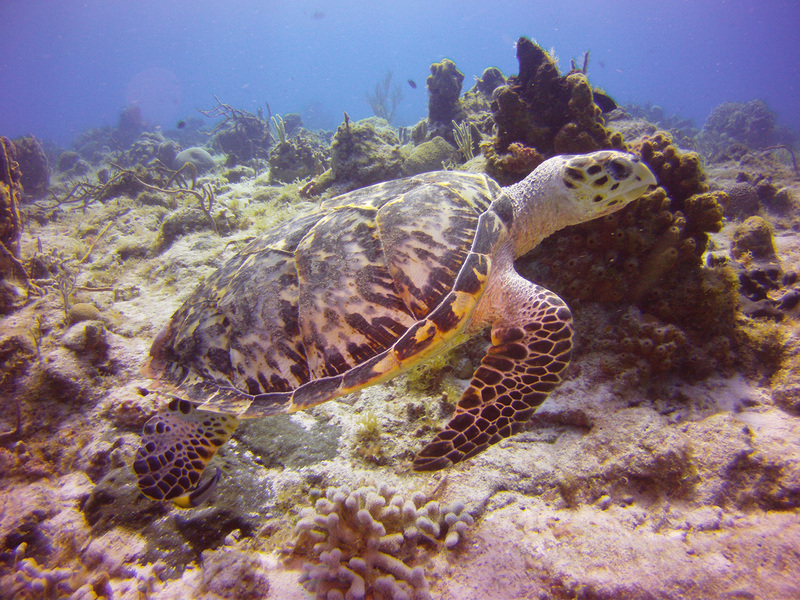 Here you will easily find turtles, eels, nurse sharks, eagle rays or the endemic Cozumel Splendid Toadfish. Thanks to its huge fauna, Cozumel has been filmed and documented many times by prestigious oceanographers, such as Jacques Cousteau. Would you like to emulate his adventures? 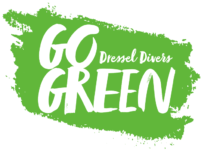 Just book your excursion from the Dressel Divers Dive Center in Cozumel and enjoy their special free nitrox offer. They are locate right in the middle of the Cozumel Marine Park. Playa del Carmen (Mexico) is the scuba diving capital of the Yucatan. 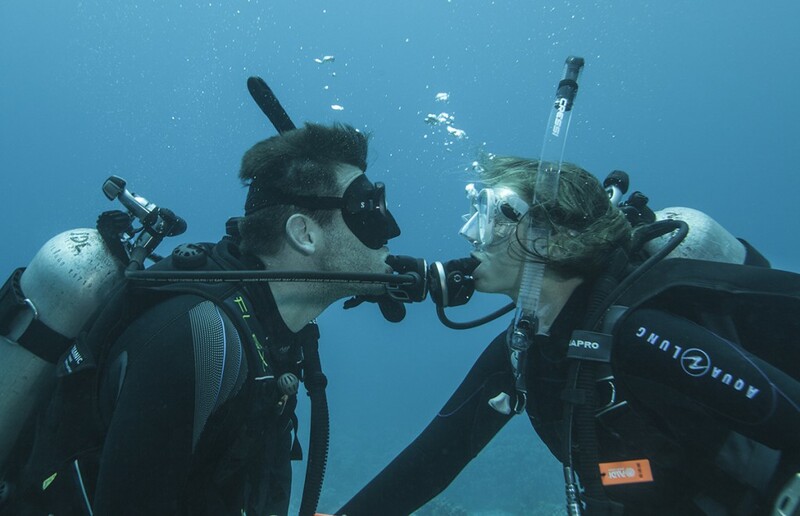 This stunning place has many alternatives to meet the expectations of novice and expert divers alike. 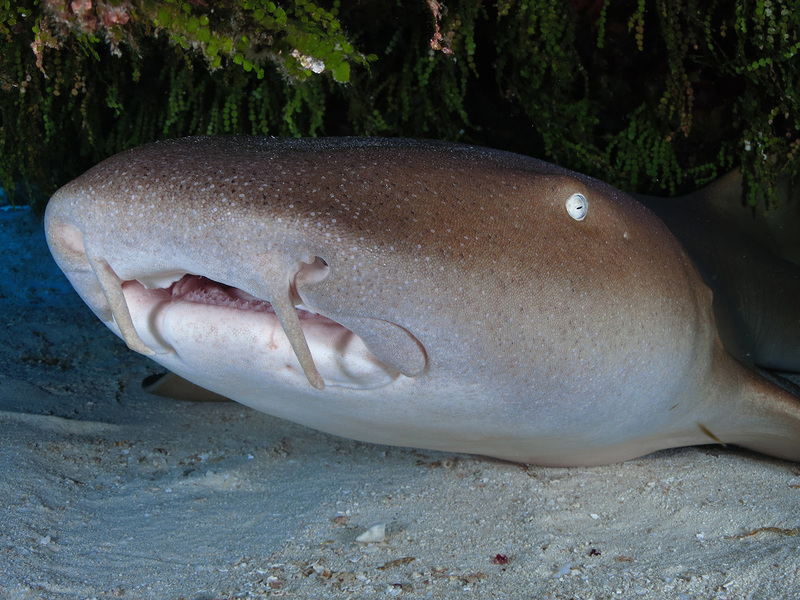 You can dive along its whole coastline, and enjoy the bull sharks in the winter and tarpons in the summer. In addition, you can also go to the gorgeous cenotes. In the middle of the Yucatan jungle there are sub-aquatic caverns, unique on the whole planet. 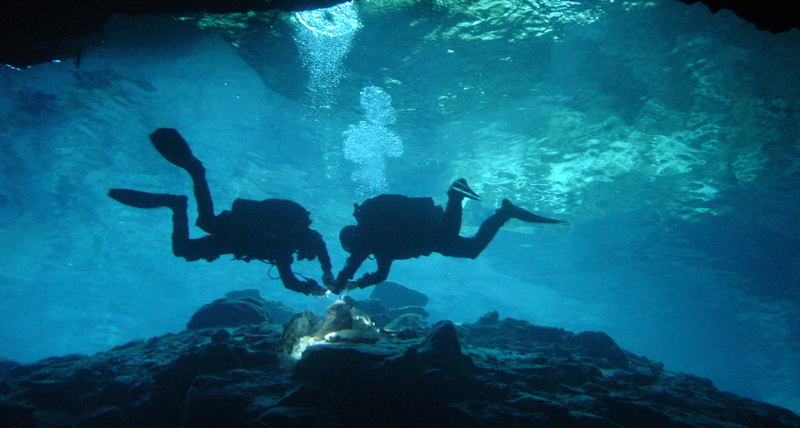 In these ponds and their caverns you can scuba dive having the impression of floating in mid-air. You will also be amazed by the beams of sunlight penetrating the cavern shafts, creating a magic light show effect. Believe us, cenotes are really worth a visit, and one of the main reasons to consider Playa del Carmen as one of the most popular cruise ship stops for scuba diving in the Caribbean. 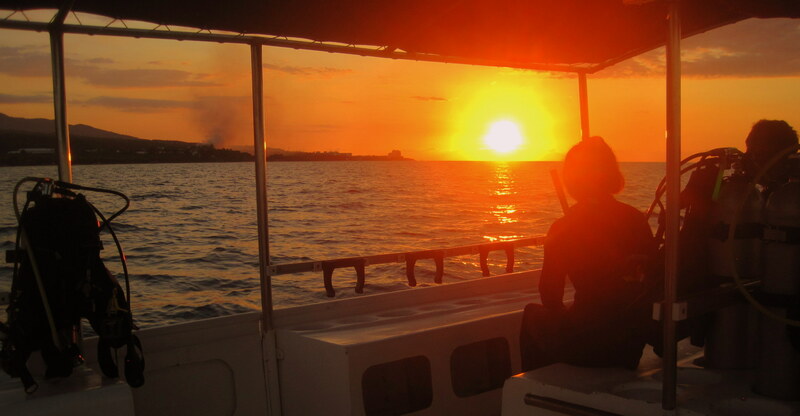 Montego Bay has abundant marine life and a huge number of fairly virgin spots to discover. But if there is one place that stands out it is the Marine Park, a wonderful area of reefs extending 6 square miles (15 km2) full with abundant types of marine animals and coral. We specially recommend to visit the Airport Wall dive site. If you prefer snorkeling, the Marine Park’s crystal waters are also the perfect place for you. Finally, you should also visit the Luminous Lagoon, and swim in glistening waters. Here you can find more info about how to book excursions to all these places in Montego Bay. The fourth of the most popular cruise ship stops for scuba diving in the Caribbean that we recommend is La Romana, in the Dominican Republic. Here you can choose among many local reefs as well as unihabited islands and natural parks caverns. In addition, in La Romana you can enjoy 2 different wreck dives, among which we highlight the impressive St-George. 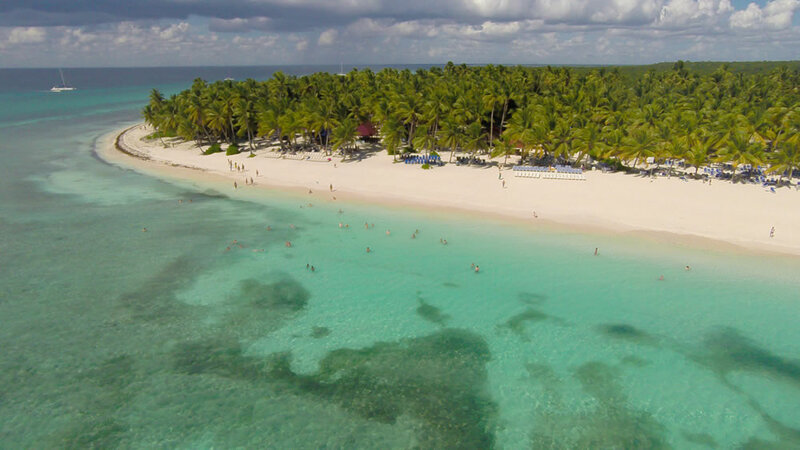 We also recommend visiting Saona Island, its reefs are among the best of the Dominican Republic. You will be astonished by the beauty of its protected natural park and its huge natural swimming pool. Last but not least, you should also visit Santa Catalina, an island baptized by Cristopher Colombus himself. Here you could dive among its spectacular wall and coral reefs or stay on the surface snorkeling in its crystal clear waters. Excursions are available from Dressel Divers Base Center in Bayahibe. Cayman Islands are a world-class dive destination for many scuba divers. The reasons are its great drop-offs, wicked wreck dives and the coolest coral reefs in the Caribbean. Of the three islands, Grand Cayman is the most successful among divers. It is also the one we recommend to visit. Some of the best dives you have to try are Kittiwake (a 17 metres / 55 feet artificial reef), Stingray City (famous shallow dive on a sandy bottom) or Babylon (a large pinnacle with a canyon dissecting the North Wall). Anyway, you have hundreds of dive sites more to explore, and any option will be a success for you and your buddies. We hope you enjoyed this article about the most popular cruise ship stops for scuba diving in the Caribbean. 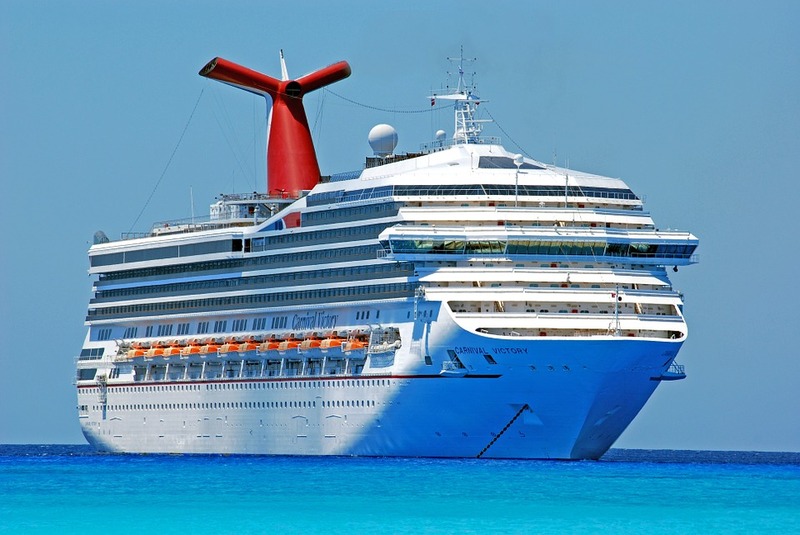 If you are wondering how to organize a cruise ship scuba diving vacation, you should check out Carnival, Holland America, Regent, Crystal Cruises, Princess or Cayman Island Discounts. Enjoy your travel!